As some of you might recall, I am over in Europe this month leading a few bike trips. The first three weeks are firmly behind me (and the fourth week is about to end), so I thought I would give a few updates through some photos. I have tried to be better at snapping photos on this trip, but I still need to constantly remind myself to get off the bike and use the camera. The week started with driving the van from Avignon (sorry, no pictures) up the Rhône Valley to pick up some bikes in Sablet. 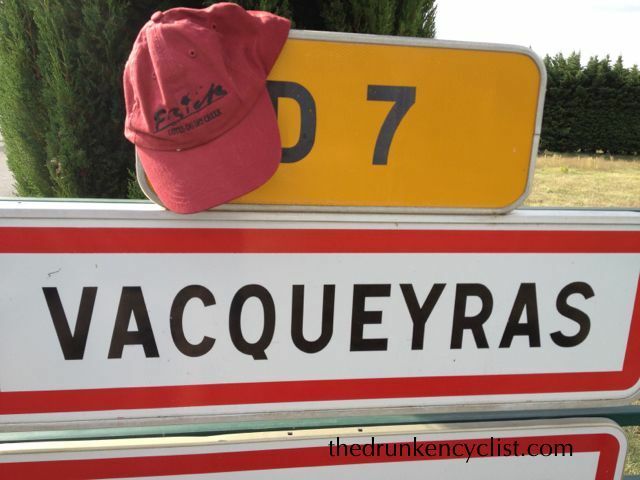 I stopped, of course, in the wine town of Vacqueryas and proudly displayed my Frick Winery hat. Right above Vacqueryas is the tiny town of Gigondas, where I stopped for a bit of a stroll. I also felt the need to sample just a couple Grenache grapes–pretty close to ready if you ask me –perhaps another couple weeks. Châteauneuf-du-Pape was a bit off the route, but I had to make the detour, and ate lunch in the middle of town. A beautiful drive across the country ended in time for dinner in St-Jean-de-Luz where I had the first of many Gâteaux Basques. 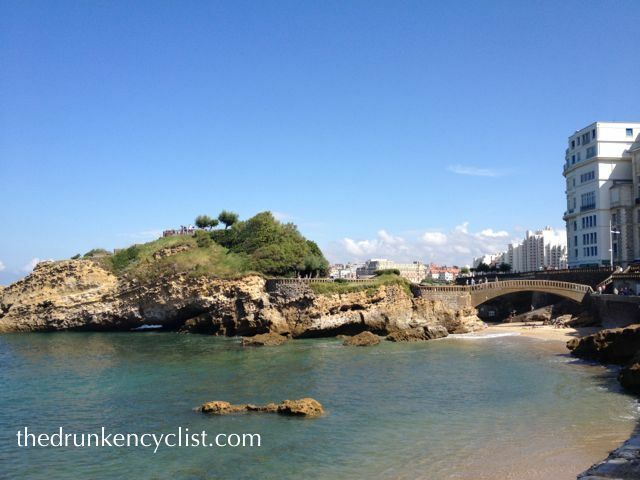 Next, up the coast a bit to the beach resort of Biarritz. 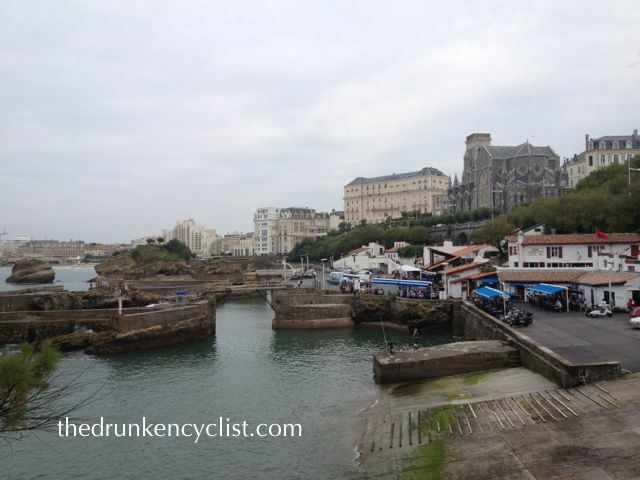 Dinner (and lunch the following day) was under the blue awnings on the water in Biarritz. Onto Spain and San Sebastian. I do not speak any Spanish, so I got lost a lot. But this meant stumbling across some cool spots. 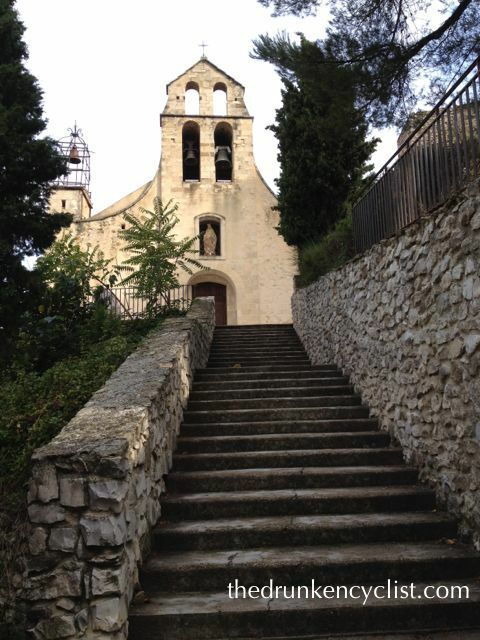 I thought about climbing up the hill to the statue, but I opted for a few more Pintxos instead. Up and over the Jazikibel. I liked it so much, I did it twice. 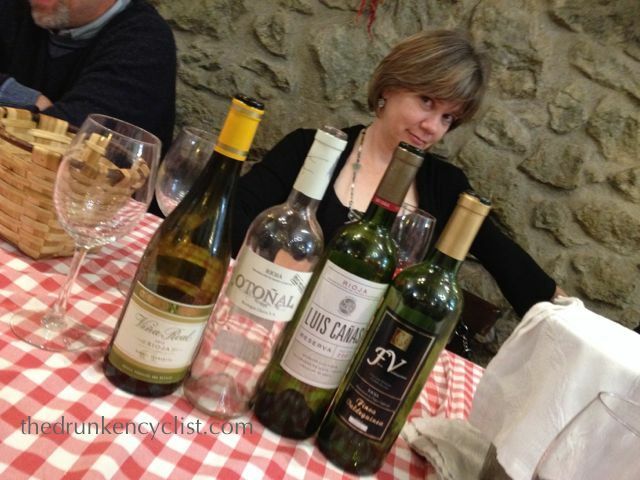 My last night was in Gernika, where we had an assortment of red and white Riojas. This entry was posted in Gigondas, Grenache, Rhône Blends, Rioja, Tempranillo, Travel, Viura. Bookmark the permalink. Looks fantastic. I know you are working but what a great gig! Cheers! It is work, but really hard to complain–today’s ride was just fabulous. 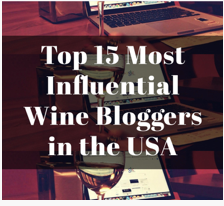 Are you shipping any wines back home? I did a bike tour of Provence 11 years ago and have wonderful memories of that trip. 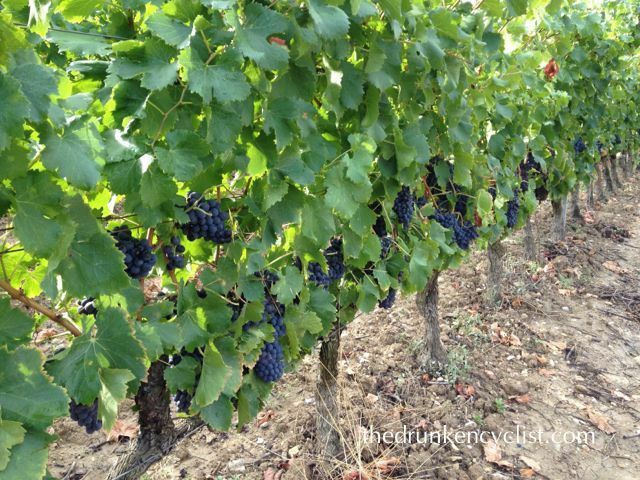 One of our days we bike through Châteauneuf-du-Pape and visited one of the wineries there. Picked up a few bottles while we were there. That was back in the day when we could carry liquids on board with us. 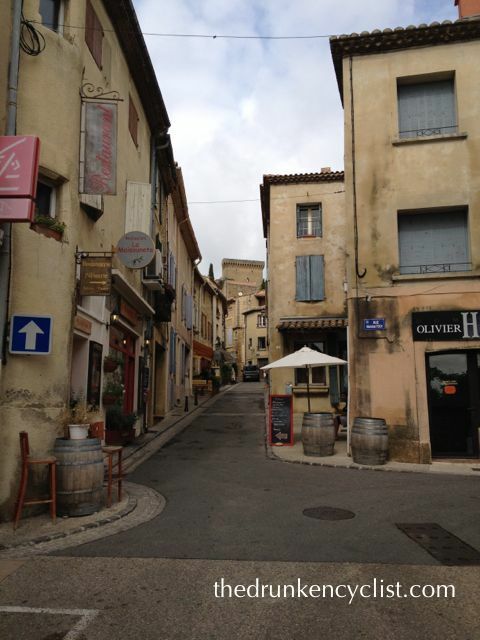 Châteauneuf is a pretty little town–it was the first time I have been there–hopefully not the last! How was the wine once you got back home? A great trip and I’m glad you are finding wines to sample! Finding wines to sample is far from difficult. Nothing was open in this little town we were staying except this complete dive-looking bar. The food was actually very good and he had an incredible wine list! 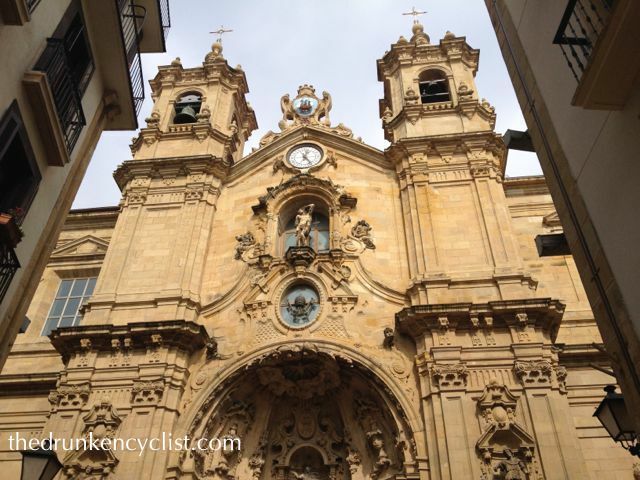 Thanks for the quick San Sebastiàn – such a great city…happy drunken cycling. Still envious! Although I’m not sure I could do that on a bike 🙂 Look forward to the next post! The bike is not all that hard! I promise! Nice photos. Nice time. Appreciate your sharing. And… safe return to Philly. Thank you for a great vicarious vacation. Nice chapeau! Hi Bill! Glad you like it! I have a few more that I plan to post on your Facebook page! 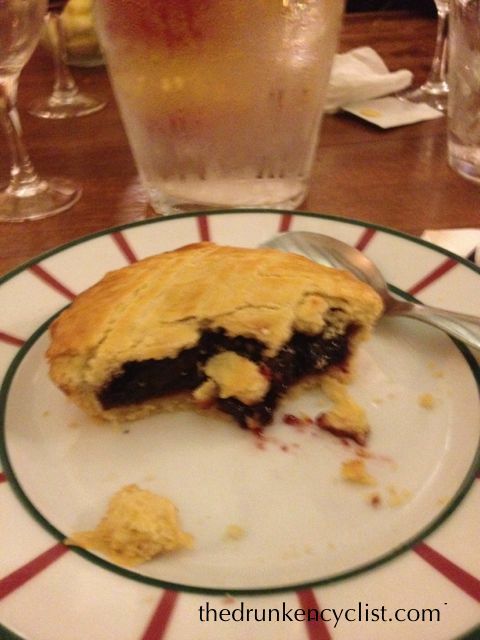 I bet you’re missing Omygod right about now…. Um, no. Unless you mean I should have posted the next installment, in which case you would be correct. Maybe by the weekend! We have had incredible weather–barely a drop of rain the whole four weeks! My wife and I spent 17 glorious days in Spain last year. San Sebastian was definitely a highlight for me! Adored the food! 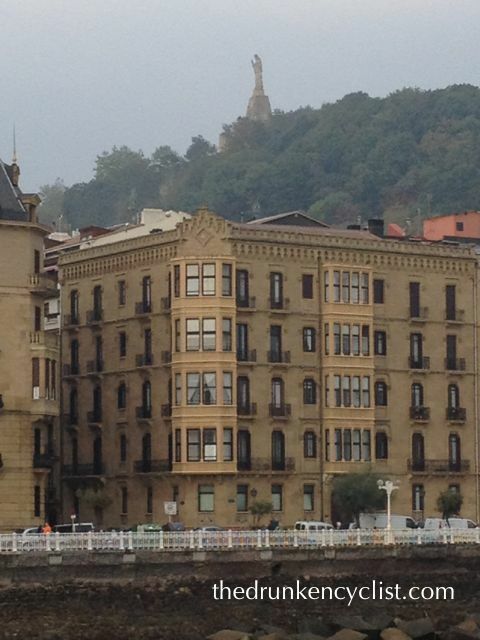 You are right–San Sebastian is wonderful and the food is superb! I really have no right (nor desire) to complain! I imagine you are having a wonderful experience … after all, it’s wine and cycling!!! Love the second pic! 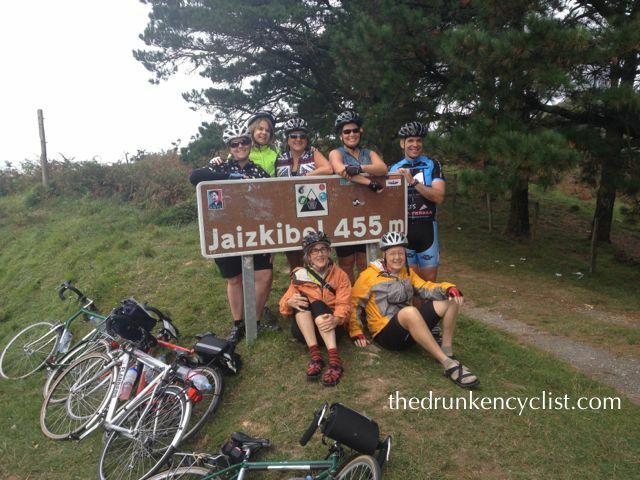 Yeah—wine and cycling, kinda in my name (the inspiration for the name “The Drunken Cyclist” came from my bike tours)! I like your experience, I’m winemaker in champagne and you re welcome at home http://www.champagne-faniel.fr!! Thanks for the comment! Next time I am in Champagne, I will certainly stop by!